We saved something special for our Halloween blog series today: a new book of ghost stories that we’re publishing in February of next year. Christopher K. Coleman’s Ghosts and Haunts of Tennessee is a new collection of 28 tales of the supernatural. This compilation explores never-before-published legends that span the entire state of Tennessee, from the mysterious mountains of Appalachia to the haunted banks of the Mississippi River. Those familiar with the state’s most famous apparitions will find new thrills in Ghosts and Haunts of Tennessee. Readers may have heard of the Bell Witch, but what of her sister, a vengeful spirit known to the folks on the eastern part of the Highland Rim as the Buckner Witch? What about the phantoms of the Bijou Theatre in Knoxville, a restless troupe of ghosts who perform for unwitting audiences? And what about Hampton, the well-dressed butler of Oakslea Place in Jackson? He often greets visitors, but he’s been dead for years. Of course, this collection wouldn’t be complete without a look at the spirits of legends like Elvis Presley and the ghosts of famous music sites like Opryland and Music Row. And lucky you–you don’t have to wait until February to read a story from this book. Enjoy a sneak preview right now, just in time for Halloween. From all the Blair staff, have a happy, safe, and spooky Halloween! The ghostly hand print of a child appears on a windowpane. A long-dead bootlegger leaves wet footprints on stairs. A pair of haunting eyes keeps watch in a costume shop. Think things like that don’t happen in an active, modern city like Charlotte? Think again! These things certainly do happen, and they happened to Blair author Stephanie Burt Williams, who published Ghost Stories of Charlotte & Mecklenburg County: Remnants of the Past in a New South with us. Ghost Stories of Charlotte & Mecklenburg County is a collection of twenty chilling tales from the Queen City. And today we’re happy to share part two of this week’s Halloween blog series: a feature based on a recent interview with Stephanie in Today’s Charlotte Woman. Ghosts love water. They are prone to turn on faucets and flush toilets to make their presence known. Ghosts also love electronics. TVs tend to go snowy; radios will change channels; CDs skip to “meaningful songs.” Some experts say the energy drain caused by a ghost in the room affects electronics. Unlike vampires, ghosts love their reflections. Ghosts are often seen in mirrors, windowpanes, and in the reflection from a TV screen or pool of water. According to Stephanie, a “weak ghost” can’t completely manifest. Instead of appearing visually, a weak ghost often uses the sense of small to make itself known. In addition to being attracted to places, ghosts can be attached to people as well. Buildings that have no past history of being haunted may suddenly become hotbeds of paranormal activity after a new set of people move in. Read the full article from Today’s Charlotte Woman, (October 2010, pages 45-47) here. You can also follow Stephanie’s blog here. Have you experienced any supernatural activity? We’d love to hear your story–leave us a note in the comments section. Congrats to our Shenandoah Valley contest winners! Photo by Anita: This image was taken on June 21, 2010 very near Brownsburg, VA in Rockbridge County from the front porch of a friend's house. 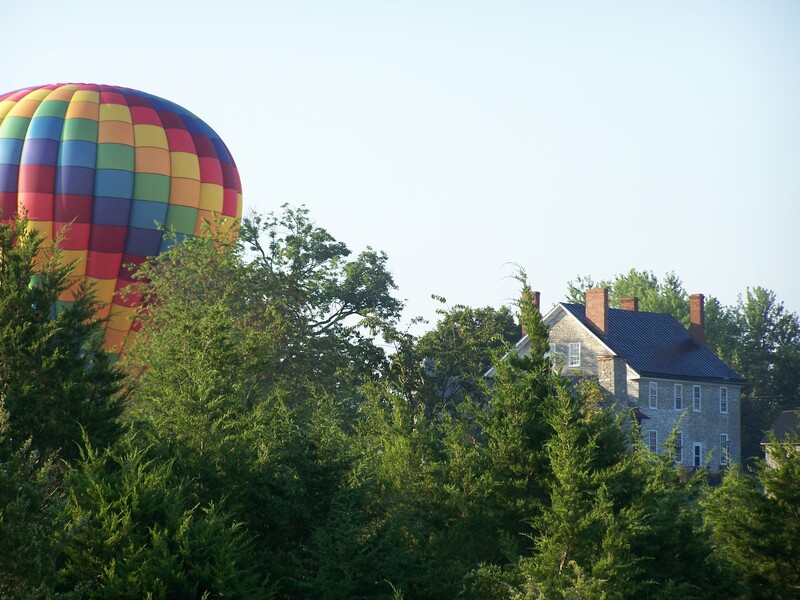 Photo by Janice: This photograph is of a hot air balloon landing in the yard at the historic 1830 house owned by the Headley family on the morning of August 28, 2010. The property is located just off Route 340/522 about 1 mile south of Double Tollgate. Photo by Jay: This is a view to the west and of Jump Mountain on Swoope Lane just before it connects with Rt. 252 and the Sugar Maple corridor leading north to Brownsburg, taken in October 2009. Thank you to everyone who participated! We loved browsing through photographs from our readers. Anita, Janice, and Jay–look for a message from us in your inboxes to claim your prize. Shenandoah Valley photo contest ends Monday, so submit your photo now! 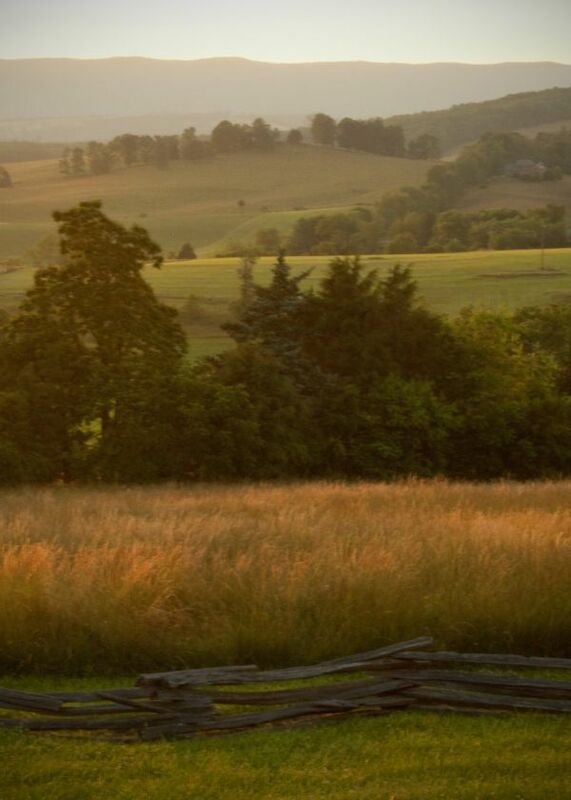 Don’t forget about our Shenandoah Valley photo contest! 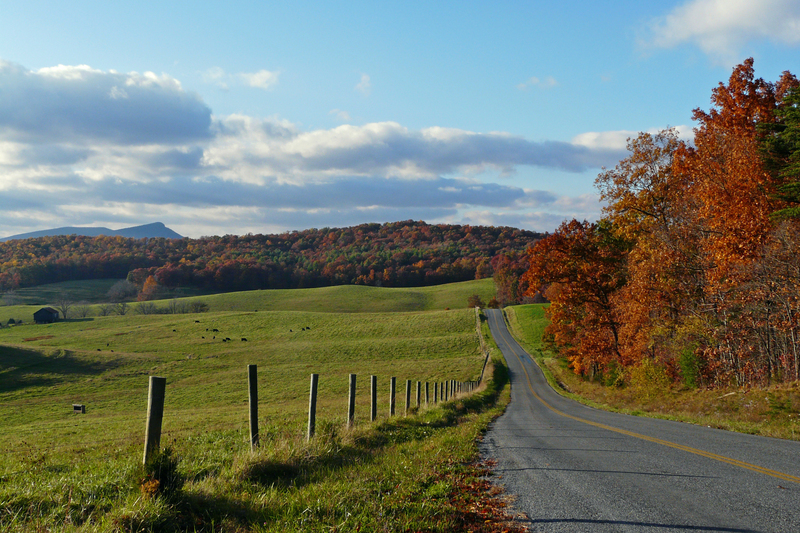 It’s simple: just send us one of your favorite photos of the area for a chance to win a free, autographed copy of Touring the Shenandoah Valley Backroads by Andrea Sutcliffe or any other Blair title of your choice. You don’t have to send us fall scenes—any time of the year will do—and any shot you’ve taken of a site somewhere between Roanoke, Virginia, and Harpers Ferry, West Virginia, will count toward the contest. Submit your photo to blairpublishing@yahoo.com with “Photo Contest” in the subject heading. Please include a short sentence or two about where and when the picture was taken. Our staff at Blair will select a winner and post the results on our blog on Monday, October 25. Only four days left, so get those entries in now! October means fall leaves, jack-o-lanterns, and…barbecue? In Lexington, N.C., barbecue is legendary. That’s why the city has celebrated its famous fare every October since 1984. And this weekend, you can celebrate with them! Head to Lexington for the 27th Annual Barbecue Festival, filled with “Hogway Speedway” racing pigs, arts and crafts, performances by some great artists, and, of course, some fantastic barbecue. If you can’t make it to the festival, you can make your own Lexington-style barbecue instead. Just roast your own pork shoulder (the crock pot is great for this) and follow this easy dip recipe straight from Blair author Bob Garner‘s North Carolina Barbecue: Flavored by Time. Combine all ingredients in large pot. Bring to a simmer over medium heat and stir until sugar melts. Let sit for several hours before serving over chopped or sliced pork shoulder. May be stored in tightly sealed container without refrigeration. If you need a great hush puppy recipe to go with this, you’ll find it in North Carolina Barbecue. This books takes us on a delectable journey across the state in search of the best examples of this distinctive North Carolina delicacy. Along the way, Garner explores cooking with wood vs. electricity, the proper etiquette for a pig picking, and the differences between North Carolina barbecue and the stuff they serve in the rest of the country. But if you want to know where to go and what to order when you’re looking for lip-smacking-good barbecue, read Bob Garner’s Guide to North Carolina Barbecue. In this book, Garner picks the 100 best barbecue restaurants in the state, ranging from well-known establishments to little-known holes in the wall. Have a favorite barbecue joint or recipe? Share it with us in the comments section.